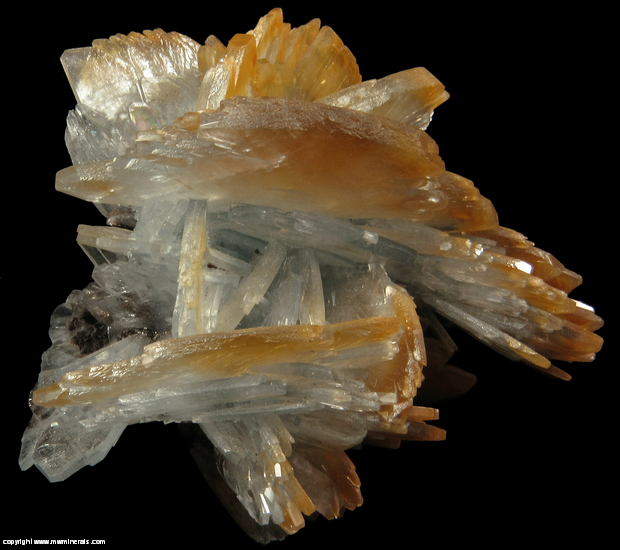 $250 Click here to order this mineral. 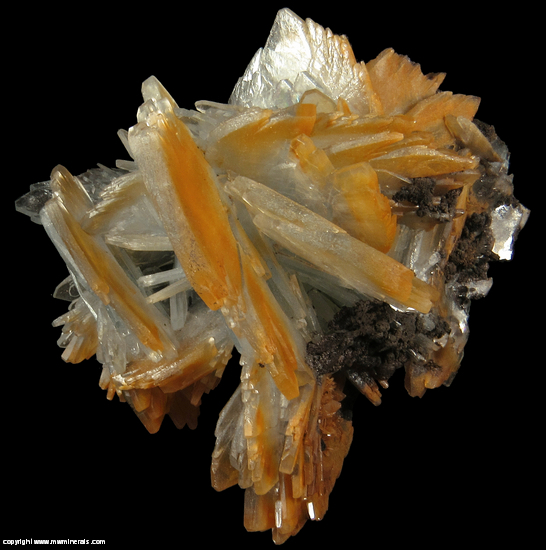 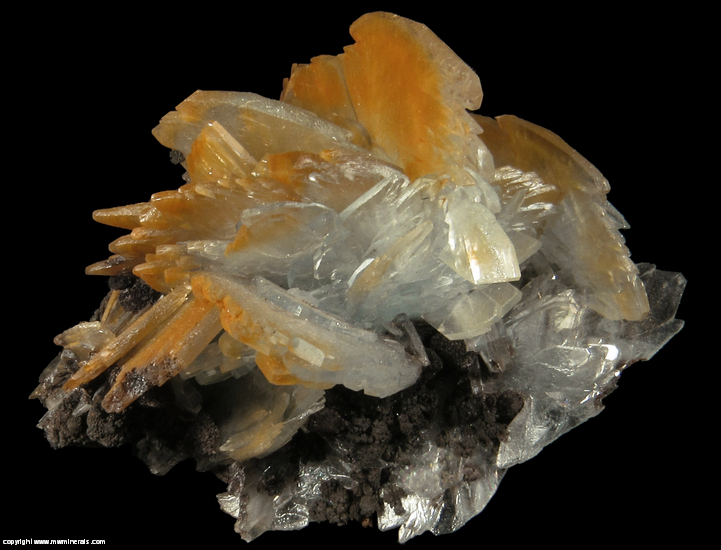 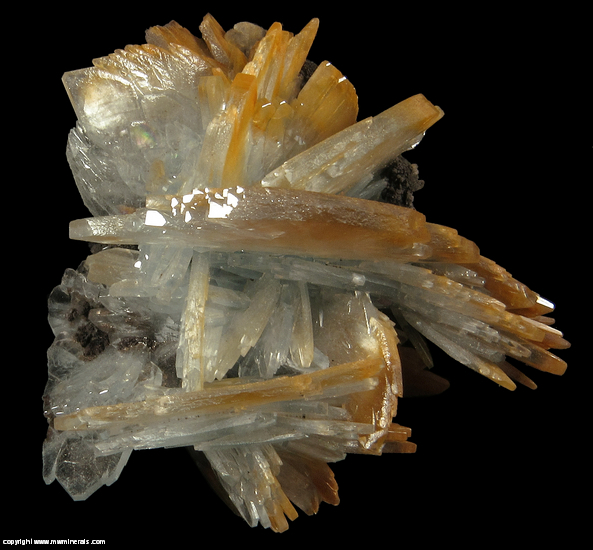 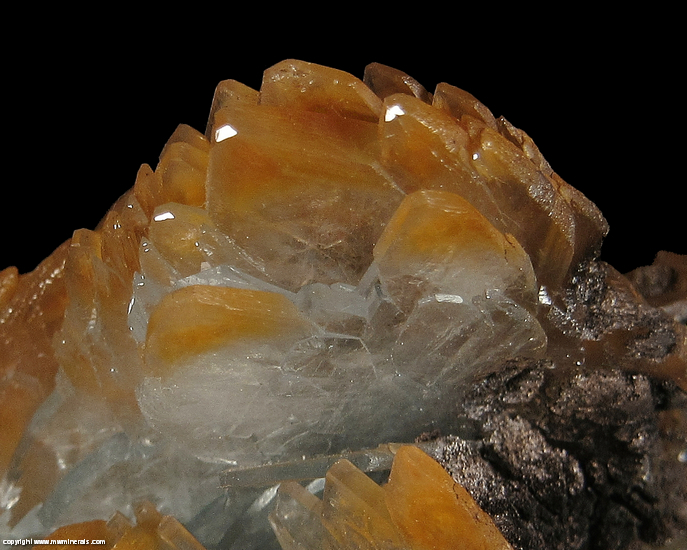 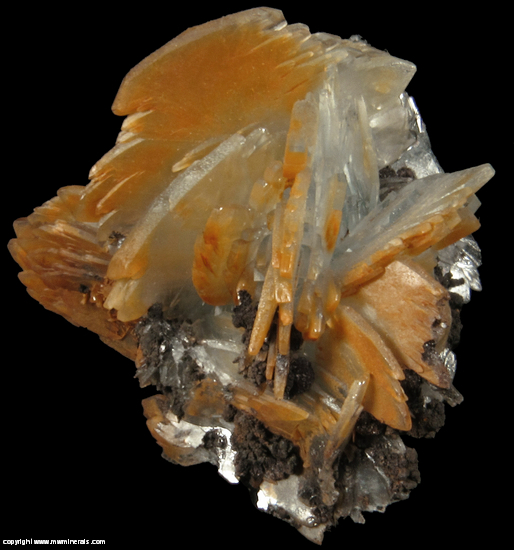 Bladed Barite crystals which are bicolor being a light blue and a reddish color. 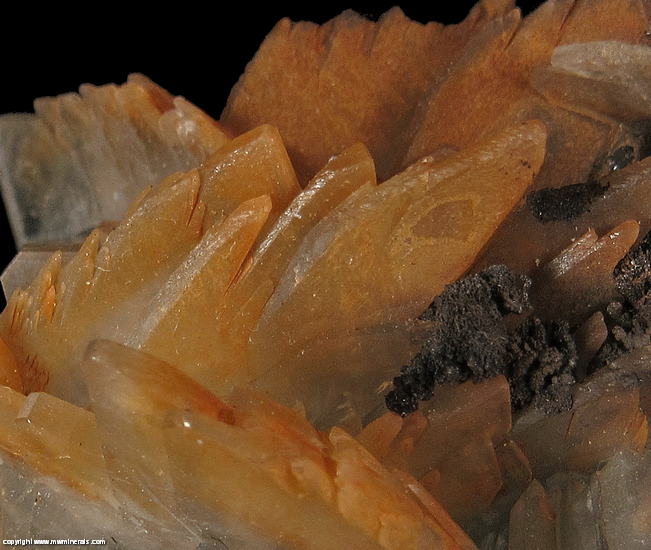 The reddish color appears to be a surface deposit of iron oxides which is present always on the same side of the crystals (and a few of the edges). 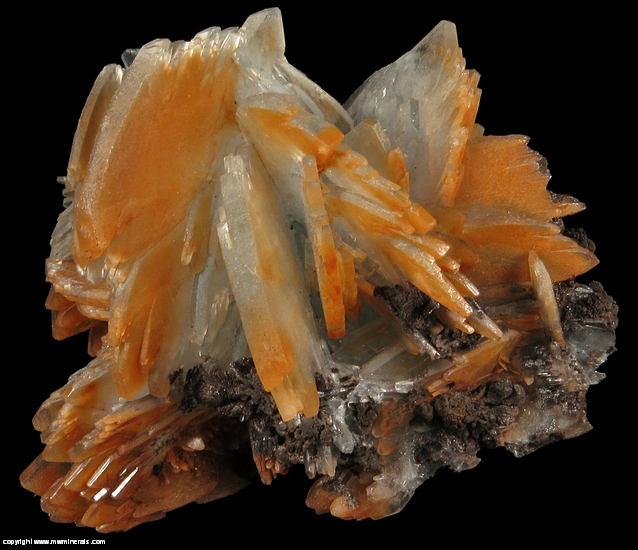 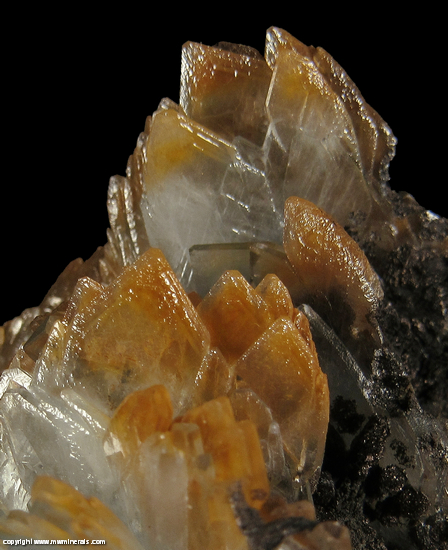 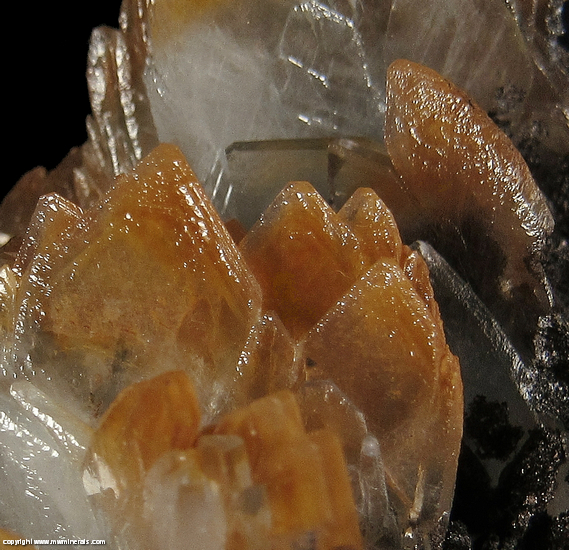 Because the Barite is translucent to transparent, the reddish color appears to rum through the crystals. 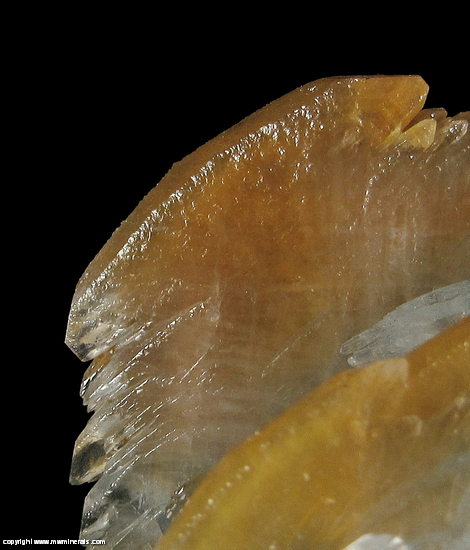 The crystals have a high, glossy luster which appears to be partially aided by having been lighted treated with either an oil or silicone spray. 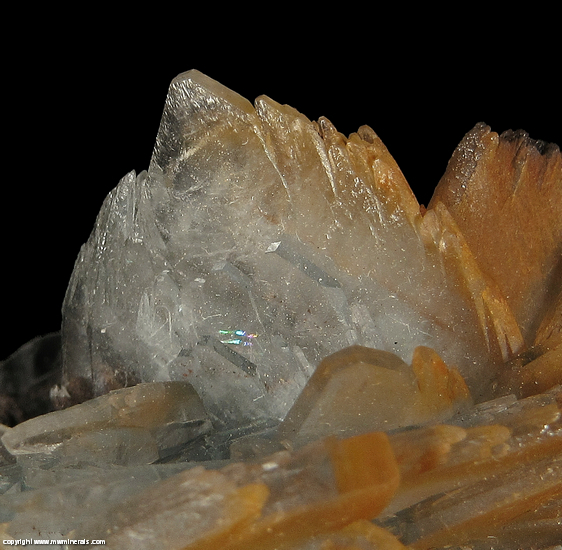 Flaws: There are few broken edges.